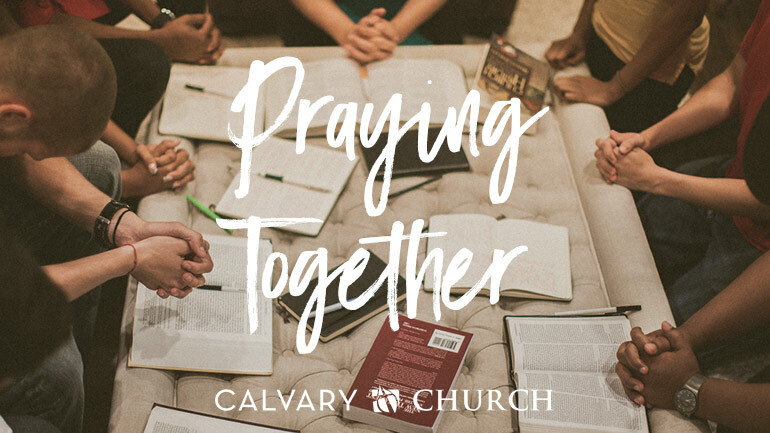 Calvary Church endeavors to be a people who connect with God and each other through prayer. Our Prayer Ministry purposes to involve all people in personal and group prayer for the needs at Calvary. We believe that personal intimacy with God our Savior in prayer is the privilege and responsibility of every believer. We must live our lives through prayer and trusting God. · Send an email to to let us know of your praises and prayer requests. Please include in your email if you would like this to be sent to the prayer team or if you would like it to just be for the staff at Calvary. · You can use "The Card" (located in the seat racks in the Worship Center) to write your prayer requests. Turn yours in during the Sunday morning services or to the Church office during the week so that we can join with you in lifting your prayer needs before the Lord. · You may also call the church at 714-973-4800 and dial 0 for the operator with your prayer request(s). Come connect with God, lifting up our community, our nation and our church. Samsvick Chapel will be open on Thursday, May 2nd from 6:00 am—6:00 pm as a simple, sacred space dedicated for prayer with interactive prayer stations and an available prayer guide. Join us on Thursday, May 2nd in the Worship Center Lobby for a prayer gathering from 7:00-8:00pm as we pray together for our community and nation. Come Sunday morning to pray before each service for God's presence and leading in our services and ministries. All are welcome! "Praying for Our Calvary Family" - Each Tuesday at 7:00 pm in the Library. All are welcome. “Vision for Northeast Asia” Club - Meets on the second Monday of each month in Room D-4 from 7:00-8:30 pm. Join them for a time of sharing and praying for the unreached places in Asia. We encourage growth within your family at home through a daily time of prayer together. You may also start a new home prayer group! Remember to pray for your church family, pastors, elders, missionaries and specific church ministry and family needs. Also, pray for the leaders of our country, local, state and federal officials. Get your phone out and set an alarm for 10:02. Then pray Luke 10:2 where Jesus said, "The harvest is plentiful, but the workers are few. Ask the Lord of the harvest, therefore, to send out workers into his harvest field." Let's all ask God to send workers from Calvary to share the gospel and reap the harvest that He has prepared. We can also pray for our global missionaries and even for the organization Greater Europe Mission (since this is where I got the idea). 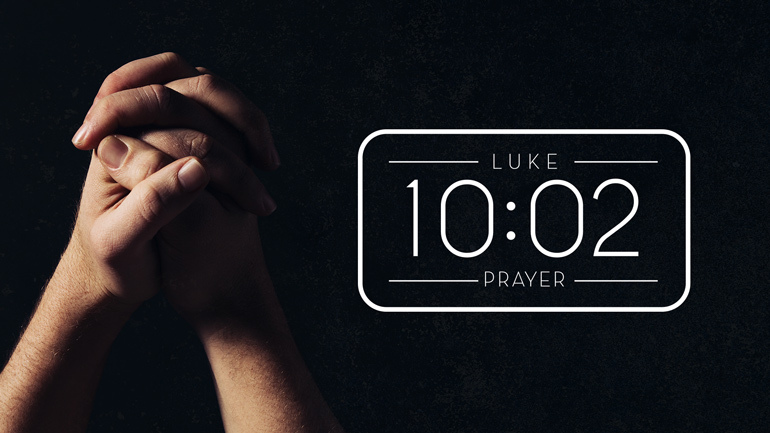 As you pray at 10:02, also ask God to give you Courage, Heart, Opportunities, and Words to Say. We need boldness, love, chances to share and then the right words to say as we follow the Spirit’s leading. Please commit to pray these prayers EVERY DAY with me at 10:02 am. Our staff and elders are already doing this. I would love to hear a host of alarms going off all around our community every day because we are all committed to this. God hears our prayers and will answer them as we cry out to Him with all our hearts.